Our compact, feature rich multi-maker cart has a small footprint with a big impact. 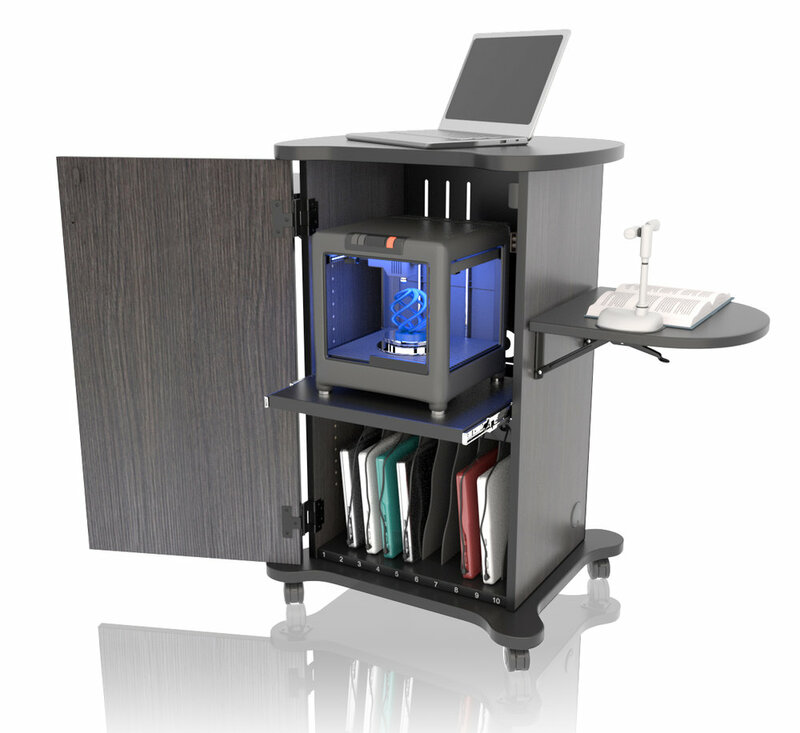 The Multi-Maker is our most customizable cart and has multiple applications such as a presentation cart, a great addition to your makerspace room, or a charging and storage solution for a classroom or media center. Let us help you organize so you can teach and make!